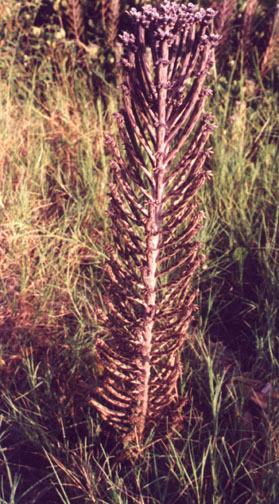 This plant is native to Africa and Madagascar. 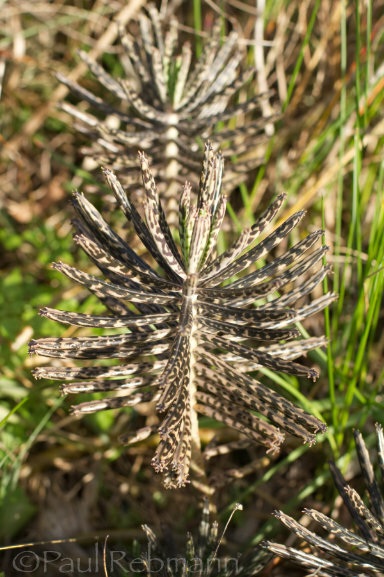 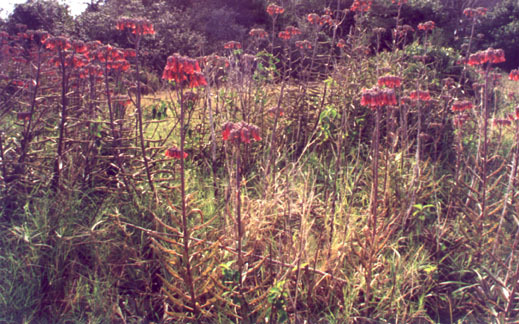 In Florida it often escapes from landscapes where it has been planted and can be found in various disturbed locations in the peninsula, particularly in coastal counties. 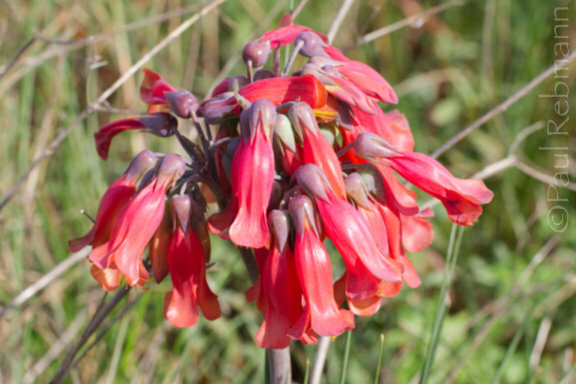 Chandelier plant is a tender succulent perennial that reproduces asexually by means of small plantlets that break off from the end of each leaf. 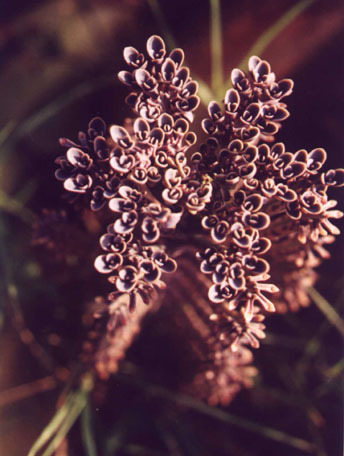 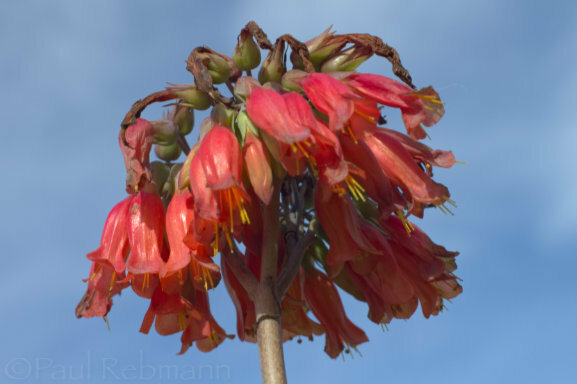 The leaves are nearly cylindrical (subterete) and this aspect differentiates Kalanchoe delagoensis from the other members of the genus that are found in Florida, which have flat leaves. 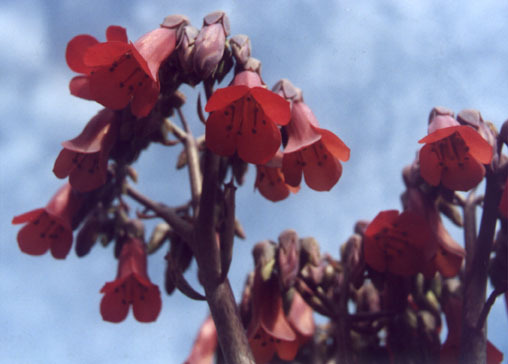 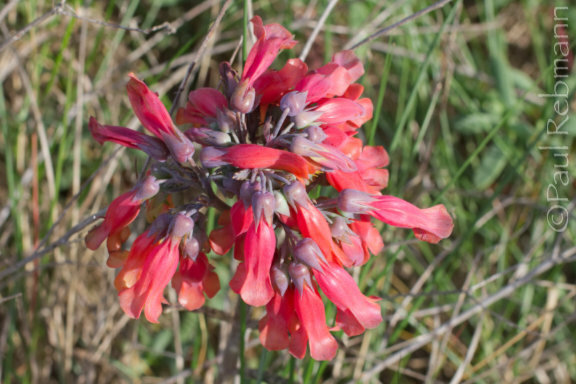 The red tubular flowers have four regular parts. 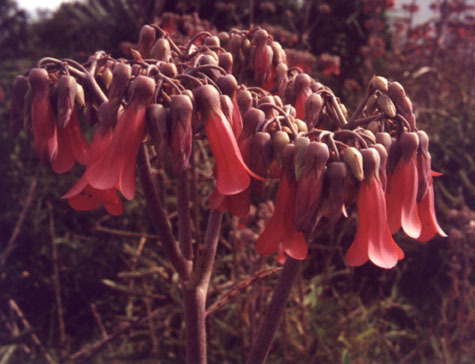 Kalanchoe delagoensis is a member of the Crassulaceae - Stonecrop family.